People feel alienated and remote from politics. A decade of austerity has ripped the heart out of communities with the loss of shared spaces like libraries, pubs, youth and community centres. People are angry because they’ve been unable to influence the changes sweeping away their sense of security, their sense of belonging, their sense of power over their own lives. They’re left instead with a profound sense of loss. Whether you’re a former miner in South Wales whose children now work in insecure, low-paid jobs in call centres, or a black family in Croydon knowing that one in three young black people are unemployed right here in one of the richest cities in the world, you’re angry because you’ve come to feel there’s not much you can do about it. Putting a cross on a ballot paper once every five years then surrendering to political paternalism isn’t enough. In these circumstances, taking back control sounds good to you. And taking back control is what people voted for in the EU referendum. But leaving the EU won’t solve the problem because being in the EU didn’t cause it. Our politics did, and so it must change. We’re not just facing a loss of trust in politics – we are facing a crisis of liberal democracy. Look around the world and we can no longer assume democracy will survive. Democracy, where every adult has a free vote, has barely existed for 100 years even in this country. Even in democratic countries, we see voters moving to the extremes. In the US, Trump is a president like no other – disrespectful of minorities, the media, state institutions, even the law. In Europe we see the rise of right-wing populist governments in Hungary, Poland and Italy. In France, a neofascist won nearly a quarter of the vote in the first round of the presidential elections. How do we save democracy from the rising tide of autocracy? It’s a question our co-operative councils are already tackling. Because instead of giving up on democracy, we must double down on it. Rebuild politics around people and put real power in people’s hands. That is what co-operative councils do. They help people take back control in immediate and meaningful ways. We understand that people are more than units of production and consumption in a voracious economy that’s consuming our planet along with people’s lives. We understand the principles of citizenship, where people have individual rights but also owe duties to the rest of society in working for the common good. Public policy too often ignores the fact that people are not problems to be managed but fully rounded human beings nurtured by families, relationships, community, a sense of belonging, and they are given meaning by the work they do or the contribution they make. For co-operative councils, the litmus test is simple: if a policy gives the people affected by it more control over their lives, we are heading in the right direction. This must be more than just giving people a voice. On its own, a voice isn’t enough – people also need the power to make their voice heard, because a voice without power is a cry in the dark. Rochdale have mutualised their entire council housing stock so the people living in it have a bigger say over their own homes. Plymouth has set up a network of community energy co-operatives to generate energy sustainably and ensure the profits are ploughed back into the community. Croydon is developing a community land trust that gives local people control over development in their neighbourhood. Stevenage is pioneering community budgeting. In Lambeth, the council has set up Black Thrive, to give the black community greater oversight over mental health services. Newcastle has set up community-led work to tackle homelessness and financial exclusion. And co-operative councils measure social value, not just financial value, when taking decisions. Our purpose is to give communities a real voice and the power to make it heard and to create change on their own terms. Rebuilding trust in politics by rebuilding politics around people and helping communities ‘take back control’. This isn’t just a movement in local government any more. Our party nationally is starting to understand the need to put power back in the people’s hands too. Labour conference this year supported giving workers a proportion of shares in the company they work for, and backed the principle of community wealth-building. We’re starting to see the shape of 21st century socialism, and co-operative values are at the heart of it. Co-operative councils are not just reinventing public services, they’re in the frontline of the fightback against extremist populism, finding new ways to make democracy real and relevant, showing how co-operative values are not just the treasures of our history but the way we build a better future. 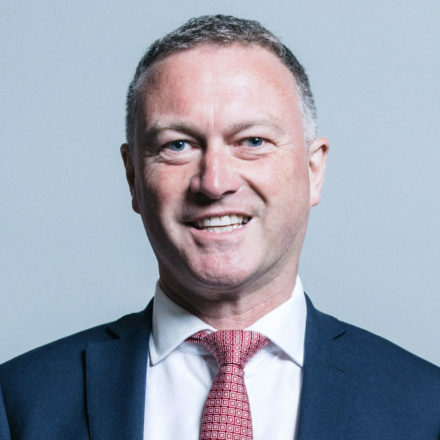 Steve Reed is MP for Croydon North. This is an amended version of Steve’s keynote speech at the Co-operative Councils Innovation Network annual conference in Croydon.